Having a summer house on a stunning location where the weather is always perfect is something that each individual strives to have, as one of the things on the bucket list. 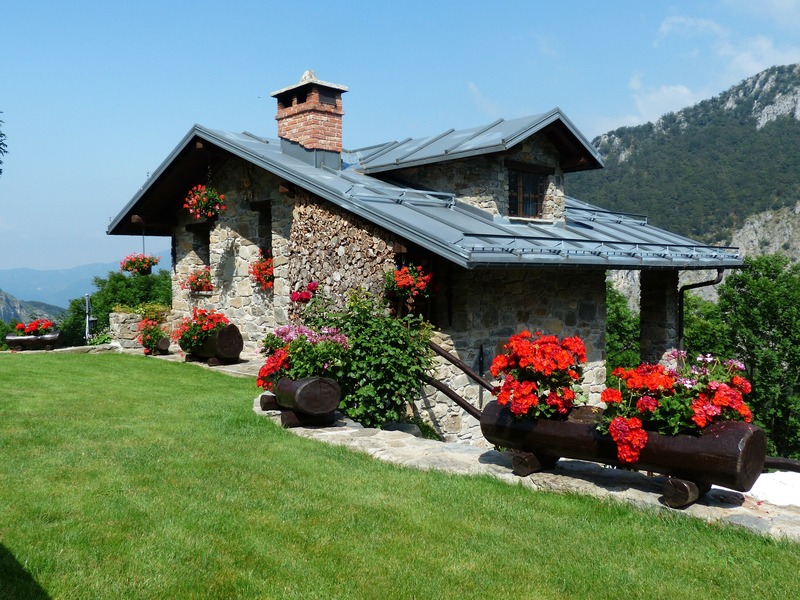 If you have a chance to fulfill your long awaited dream and found a summer home to buy, you might face some unavoidable renovations. Then, the dilemma is where to start your home improvement project. No matter if you need to start totally from the scratch or simply do a fix up here and there, you are surely up for a challenge. If you are not sure what are the priorities when renovating your summer home, read on to find out. Since you will be spending at least a couple of summer months in your holiday home, you need to have all the conformity possible. Of course, the ambient doesn’t have to lush like you are living in a villa, but you should make it feel cozy and homely. First things first, in order to spruce up the ambient of your summer home repaint the walls, change the wallpapers and replace the lighting fixtures. Does are the must. You can use plain white color or some earthy colors for the wall-paint because you want the surrounding to feel open and welcoming. If there is no furniture, get some inexpensive but multi-functional and practical ones. Besides the dining table and chairs, bring in a radio and a grill. If you have more money to spare, you can revamp the kitchen, change the tilling, and transform the bathroom by giving it a modern flair. However, for the last tip, you might want to call a plumber, and an electrician, just to check the dated plugs and pipes. You would definitely want to give back the old glow to your new summer home, and the best way to do so is to give it a fresh new coat of paint. Just little paint can utterly transform the entire exterior and make it look appealing in no time. Use warm and inviting colors for the exterior paint. Then a lot of cleaning awaits you. Inspect the roof and gutters. No matter the length of your stay, the roof will keep the house on its place when you are away. Replace the tiles if necessary, clean the gutters from debris. Plus, if you strive to preserve the energy, you can also replace and upgrade the window by installing energy efficient ones. Next, mend, fix and paint the front door. You want your guest to get wowed as the approach to your beautiful little heaven. If your summer home has a deck, patio or a terrace, they all need your special care and maintenance. You will certainly be spending most of the hot summer days outside on your patio and sipping wine and entertaining. That being said, you need to have solid and quality outdoor umbrellas for a perfect shade. Then you had better attend your lawn by mowing the grass, trimming the hedges, and doing some quality landscaping. The garden should look lush and neat, so plant some riveting seasonal flowers as well. Repair the old and worn out fences or replace them if they are severely damaged. Then get prepared for a lot of cleaning. Last but not least, clean the terrace, patio or deck by doing an in-depth and thorough pressure wash.
By doing the vital summer home renovation, you will be able to enhance the general appearance of the entire home, bring in the homely feel, and have a refurbished area ready to indulge throughout your stay. So spend as much money as you can, and create your very own mesmerizing summer sanctuary.